A guest of mine last week asked me a question. 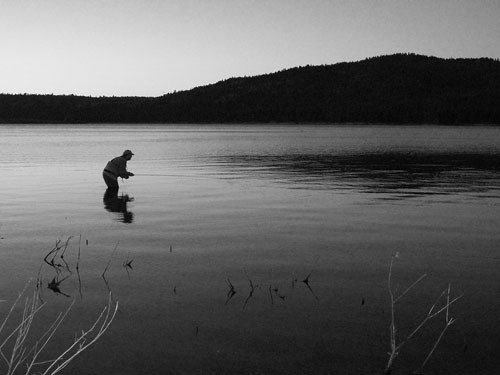 "What does fly fishing need to reach the next level, what’s missing?" My take - “I would say it’s more about what fly fishing doesn’t need. Fly fishing is just fine. I have no problems with it. It’s an amazing lifestyle with historic values, but there are a lot of pieces to it that aren’t necessary. It needs less bling, and more soul—that’s what it needs. It comes down to aspiring new anglers, and veteran individuals of the fly fishing community pushing the industry to new levels of productivity, and creativity. Right now all the brands, shops, guides, and manufacturers are competing with each other because they see themselves as an eternal part of the industry. They are all trying to bullhorn their message, many with little experience, or shall I say roots. In a perfect world, if we were all working together, the way that the industry started, we would probably be a lot stronger. When we all strive to teach, educate, preserve the waters we fish, and share fly fishing, everybody wins including the fish, the bugs, the public, and the rest of the industry.